The top order batsman of England, Jonathan Trott, secured his team with a valuable fifty as the 4th Test was heading towards a draw at the end of day four. England scored 330 runs in the first innings and reached 161 in 79 overs for the loss of three wickets in the second whereas India declared their first innings at 326 runs off 143 overs with one wicket left in their first innings. The play of the fourth day came to an end on Sunday, December 16, 2012, at Vidarbha Cricket Association Stadium, Jamtha, Nagpur. Earlier, India got in the game at 8-297 in 130.1 overs. Ravichandran Ashwin was unbeaten for seven as Pragyan Ojha came out to bat with him early on the day. The English bowlers started off well, gave away just four runs in the first 29 deliveries and the home side reached 317 after 140 overs. The visitors got the first breakthrough when Ojha was clean bowled by Monty Panesar for three runs on the first ball of the next over. The Indian skipper, MS Dhoni, declared the first innings at 326 after 143 overs with a deficit of four runs as Ravichandran Ashwin was still at the crease with 29 and Ishant Sharma for 2 runs. 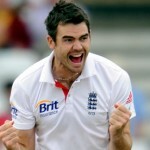 James Anderson became the highest wicket taker with four, Graeme Swann held three whereas Monty Panesar took one wicket. England opened their second innings with their captain Alastair Cook along with Nick Compton in a defensive mood and scored eight runs in the first 10 overs. Compton hit the first four of the innings on the last ball of the 12th over as Cook survived a huge leg before wicket shout in the next over. England looked like attempting a draw in the match in the series as the batsmen did not try for an aggressive approach. Cook got his first four on the 79th ball he faced and enhanced the score to 47 in 29 overs. He became the first victim when Dhoni caught him behind the stumps off Ashwin for 13 off 93 deliveries with just one four. 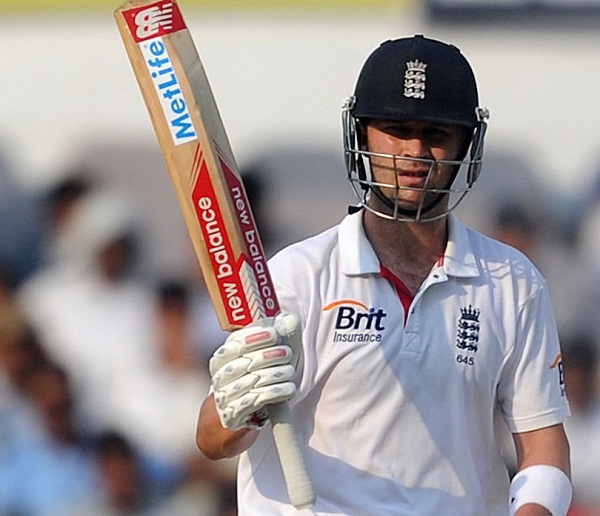 Jonathan Trott came in the park next and initiated his innings with a four on the first ball he faced. Compton scored 31 runs on the first 100 balls he faced that comprised just one four whereas Trott was playing comparatively faster than him. The pair took the score to 81 as Nick Compton was declared lbw off Pragyan Ojha for 34 from 135 balls with one four. 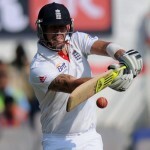 Kevin Pietersen scored just six runs from 30 balls and became the next victim after the addition of 13 runs to the total. Ian Bell walked in next and gathered six runs off the first seven balls with one four as Trott hit 10 runs in the 59th over with a couple of fours. The pace of scoring was accelerated and Jonathan Trott achieved his 14th Test fifty on the last ball of the 64th over as Bell secured his end by being more concentrated. The 150 of the innings was attained in the 74th over as England managed 161 runs with seven wickets in hand after 79 overs. 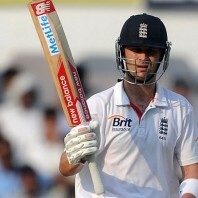 Jonathan Trott was unbeaten for 66 off 153 deliveries with 9 fours and Bell was batting at 24 from 67 comprising 4 fours. Pragyan Ojha, Ravichandran Ashwin and Ravindra Jadeja were the only wicket takers with one wicket each. England has gained an overall lead of 165 runs on a slow track and the fourth and final Test of the series is heading towards a draw with just one day left in the game.